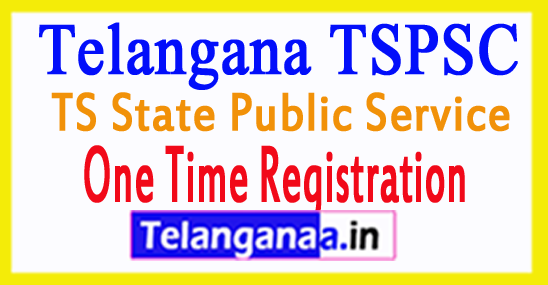 Government Job Aspirants of Telangana State (TS) should be happy with the latest developments from the TSPSC Board on 'TSPSC One Time Registration System Process 2017'. Since the last week, many things have happened as TSPSC portal went live and then the departmental announcements were released. Many other notifications are released by the government of tangangana. For this, we should draw attention to the forthcoming communications, which can help us get a job in the government sector. Send your Aadhaar Card details and this is a unique identification number, so it is required for registration. In this section we must mention whether we claim for different-abled person / ex-service man / government employee / fairy liberation from any way. To get Hallcards or other correspondence from the TSPSC. We must mention the current address and the permanent address, so we do not miss any important announcements by e-mail from the TSPSC Board. Then we need to provide our email ID and mobile phone contact number so they can contact us and send us notification updates directly to our smartphone or mobile phone. First, we must mention the kind of education we have gone through our academic career. Whether regular or private or open training. Depending on whether the reservation system is available. If you give wrong details, then you can lose your reservation rate in tspsc recruiting. Each property (OBC, SC, ST & OC) has a reservation rate, so we should provide our registration information correctly. From 1. Standard to X., Intermediate, UG, PG & PhD. Whatever your university education may be, all details should be entered so that it goes into the government database. Then you will receive recruitment announcements based on your academic qualifications. We need to upload our photo (JPEG format) with file size (50KB) and dimensions (3.5cm x 4.5cm). Next comes the signature (JPEG format) with file size (30KB) and dimensions (3.5cm x 1.5cm). Note: The photo of the candidate must not have any glasses or cap. If it is, then the application process is rejected. Polaroid images are not accepted by the system. They should be in color or black / white format (contrast must be clear). Then the TSPSC one-time registration system is accepted. If you want you to choose all job notifications from TSPSC, you can select the option "Every Job" or "Option". Then we come to the last step "Declaration", where we should check the box. Say all the details in the above sections are true. That's it. 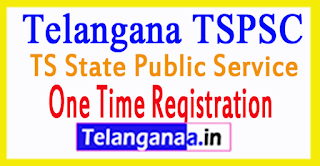 Now you have successfully registered with the "TSPSC One Time Registration Process System". I now suspect that you have fully understood how to apply for this process. Now go to the official website and log in for it. Most students fill the registration form correctly, but there is a small percentage of candidates who commit mistakes while filling the registration form online for various reasons. So for such cases, TSPSC has announced a processing link for the TSPSC OTR website, with which candidates or users can append / update their details correctly. Candidates can change their zones if they prove to be wrong in online registration. Please check the above link so you can correct your data. Follow the above steps and candidates can easily edit their details and correct their registrations.